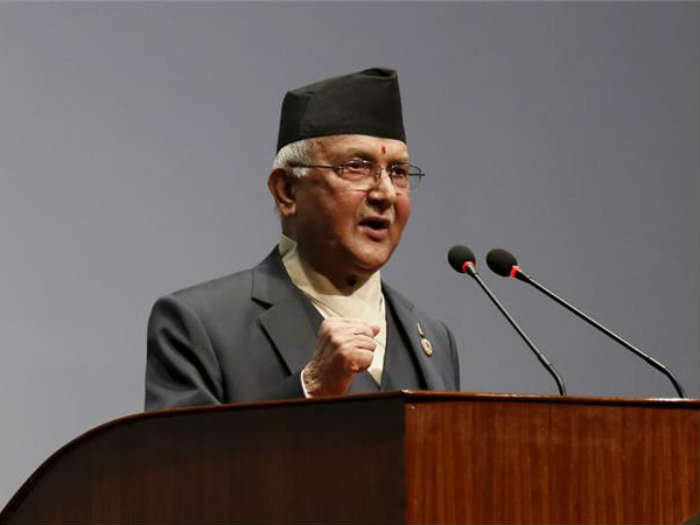 Nepal and China are expected to ink a long-term deal on the supply of petroleum products from the northern neighbour, ending India’s monopoly, during Prime Minister KP Sharma Oli’s visit to Beijing this month. “An official agreement on import of petroleum products from China, as discussed during Deputy Prime Minister and Foreign Minister Kamal Thapa’s visit in December, is likely during Oliji’s visit,” Gopal Khanal, the prime minister’s foreign affairs adviser, told the source. After his six-day state visit to India last month, Oli is expected to travel to China later this month. The visit, likely to begin on March 20, was cleared by the cabinet on Monday. Nepal Oil Corporation (NOC), the state-run organisation that deals with procuring and distribution of petroleum products, had signed a framework agreement with Petro China last October for importing one-third of Nepal’s fuel requirements. The country currently imports all its petroleum products from India under an agreement between NOC and Indian Oil Corporation. During Thapa’s visit to China, both sides signed an eight-point deal for the long-term supply of petroleum products, improving connectivity and increasing bilateral trade. Both NOC and Petro China were directed to work out details on pricing, taxation, transportation and other issues before a formal deal is sealed. But the deal got stuck because Nepal sought the waiver of certain taxes. A four-member team of senior bureaucrats and NOC officials left for China on Tuesday and it is expected to resolve all these issues before Oli’s visit. Nepal imported 287,473 kilolitres of petrol, 921,714 kilolitres of diesel, 19,653 kilolitres of kerosene, 141,404 kilolitres of aviation fuel and 258,299 metric tons of LPG from India during the last financial year. But a severe shortage of petroleum products, caused by a blockade imposed by Madhesi parties opposed to the country’s new Constitution, forced Kathmandu to look for other suppliers to diversify and reduce its reliance on New Delhi for energy supplies. The 135-day blockade was lifted last month and supplies from India are entering the country smoothly, though there is still paucity of fuel and LPG cylinders. In August last year, Nepal and India signed a deal to construct a 41-km pipeline connecting Raxaul in Bihar to Amlekhganj in Nepal at a cost of Rs 2.75 billion to ensure the smooth supply of petroleum products. During his visit to China, Oli is also expected to take part in the Boao Forum for Asia conference in Hainan province. The three-day annual conference will begin on March 22. Nepal and China are also likely to sign a Bilateral Investment Protection and Promotion Agreement (BIPPA) and transit treaties.